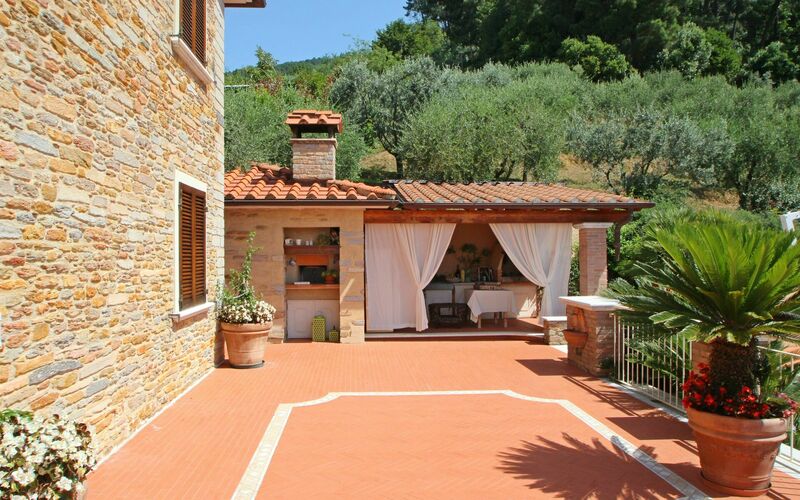 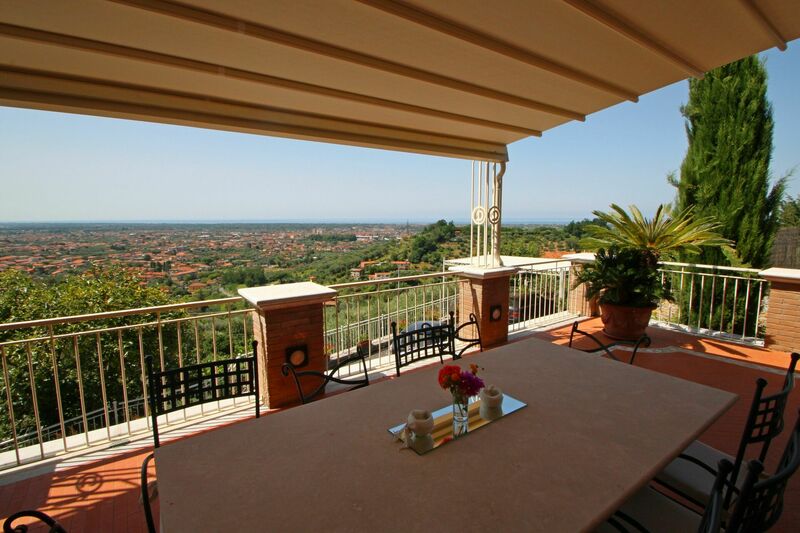 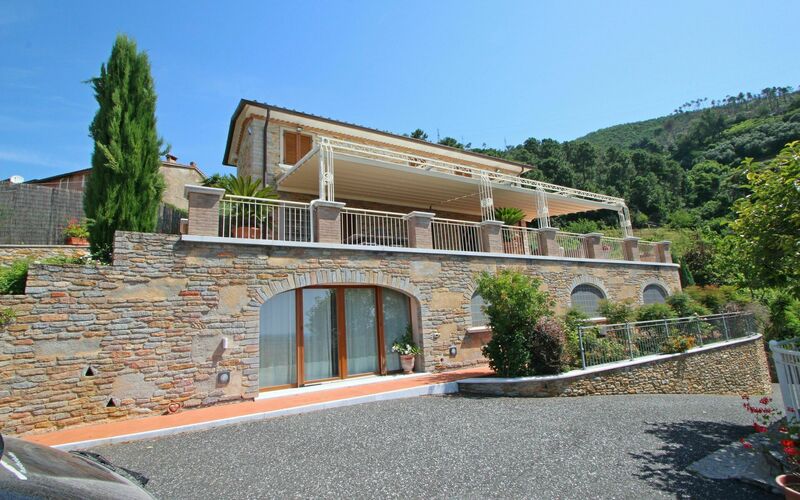 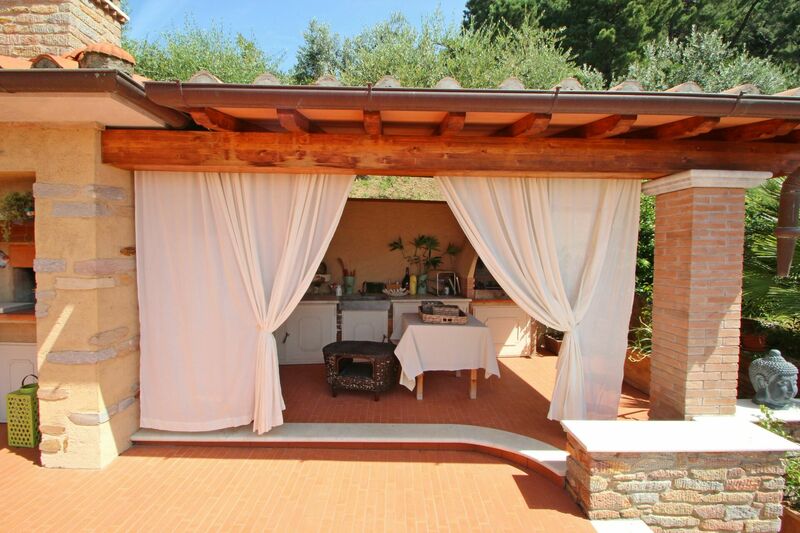 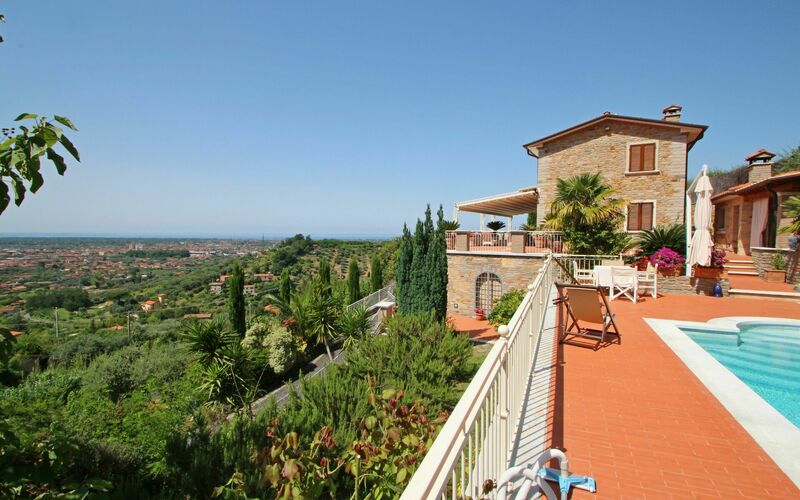 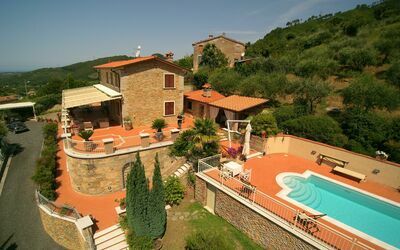 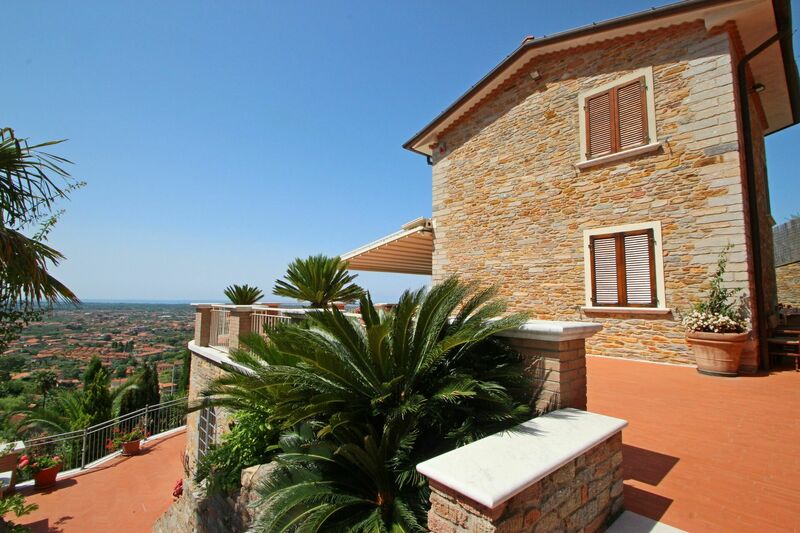 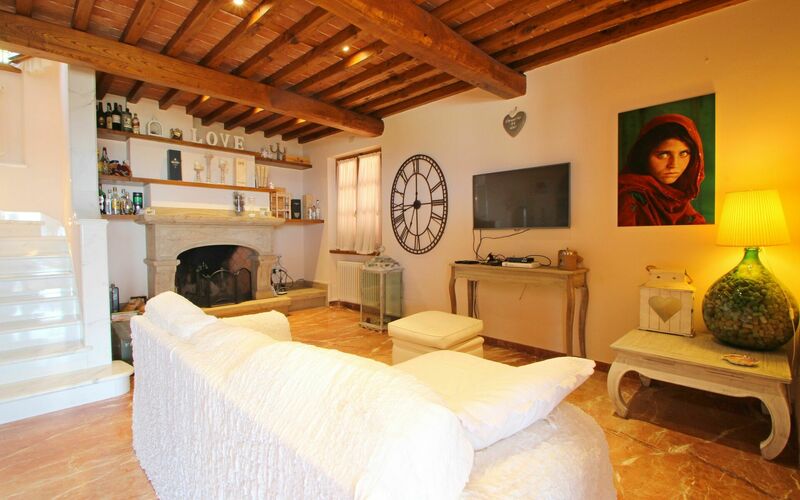 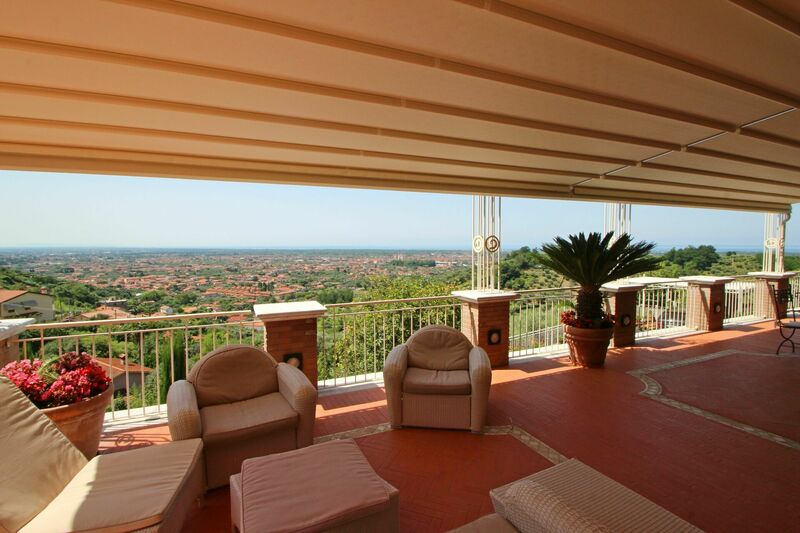 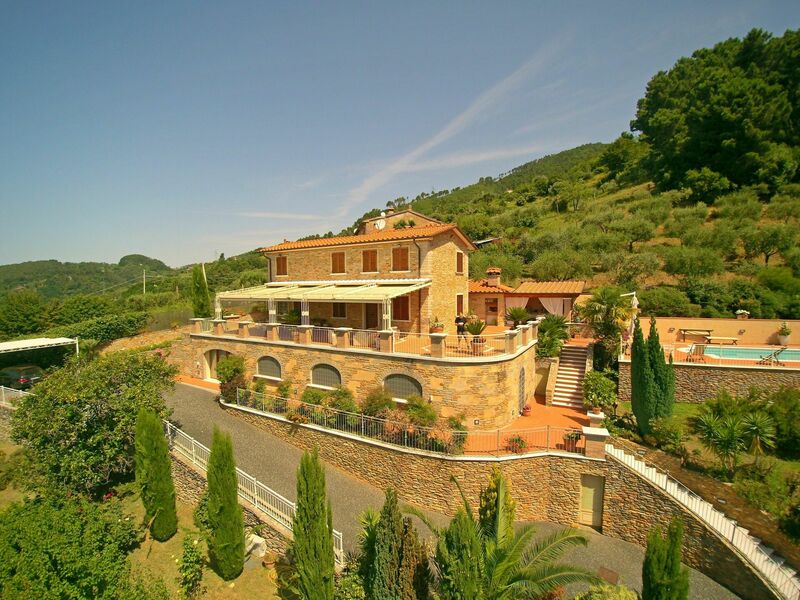 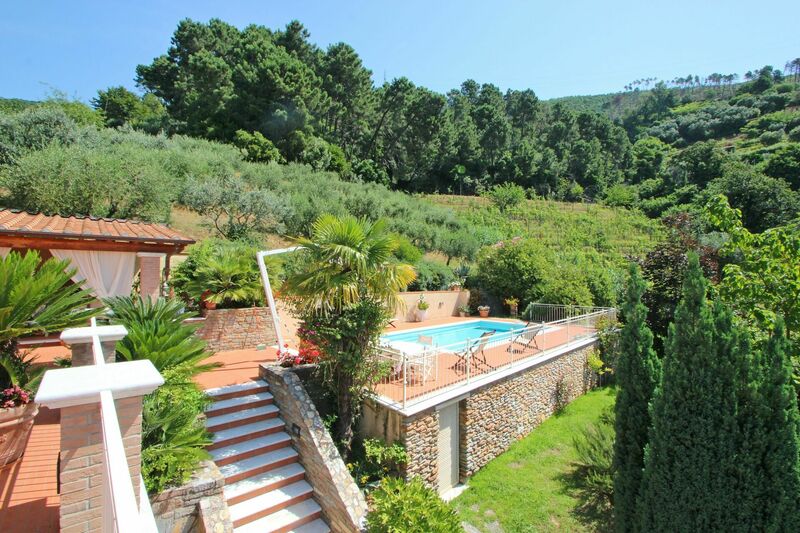 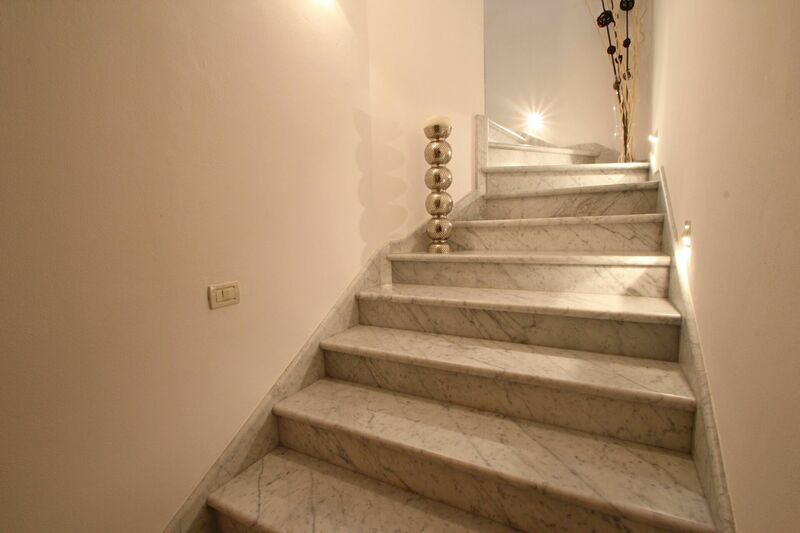 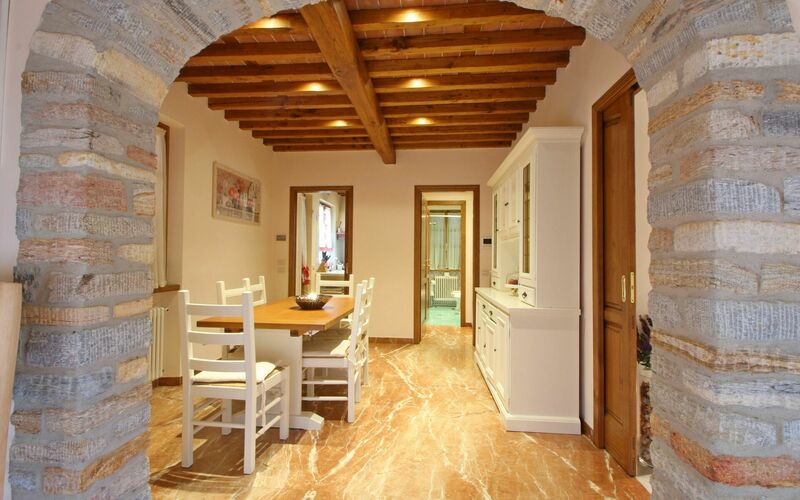 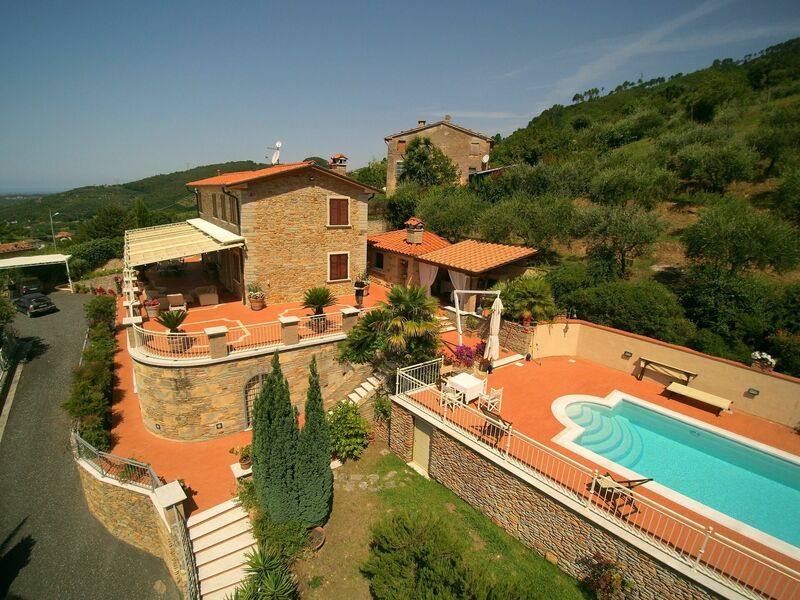 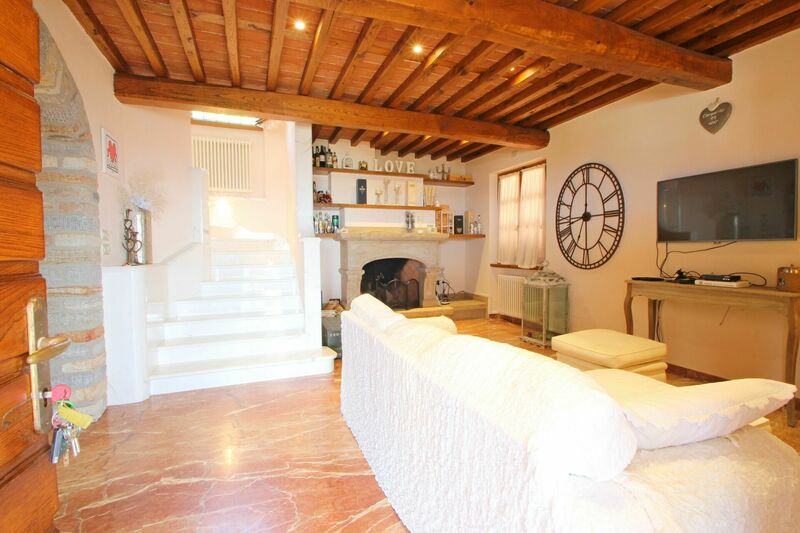 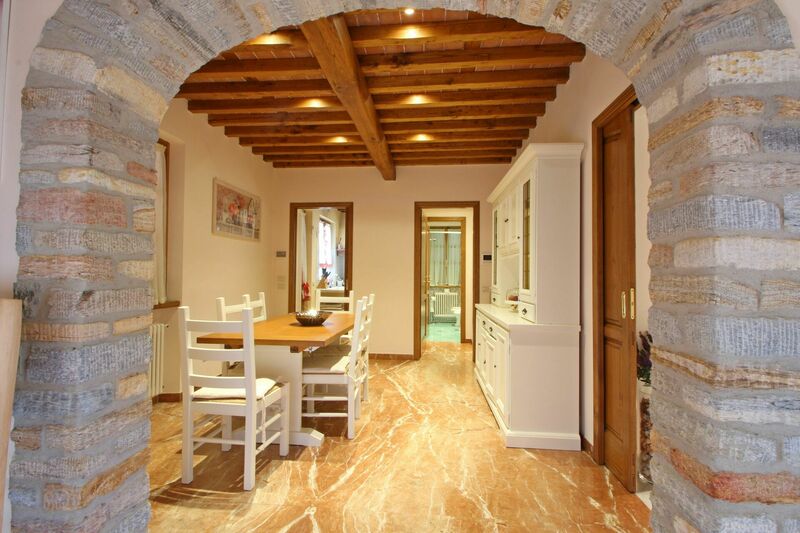 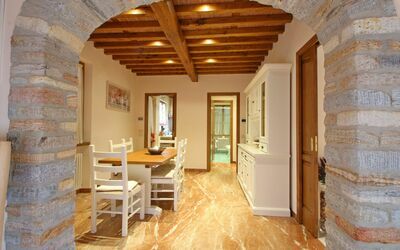 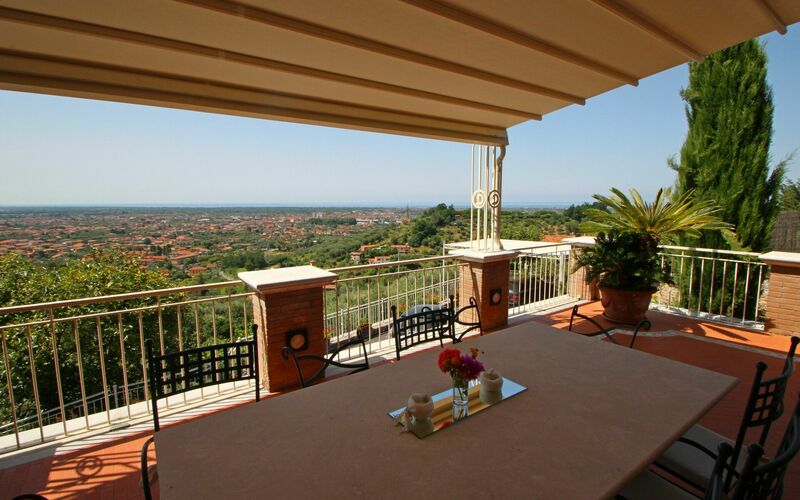 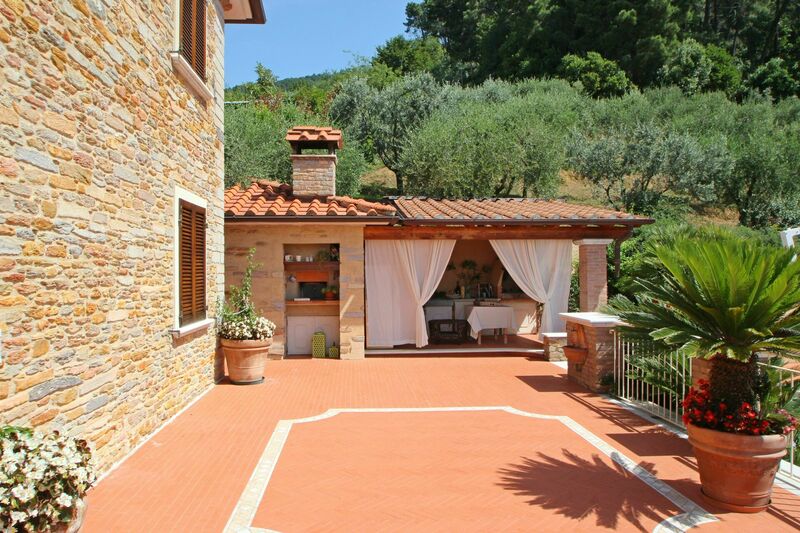 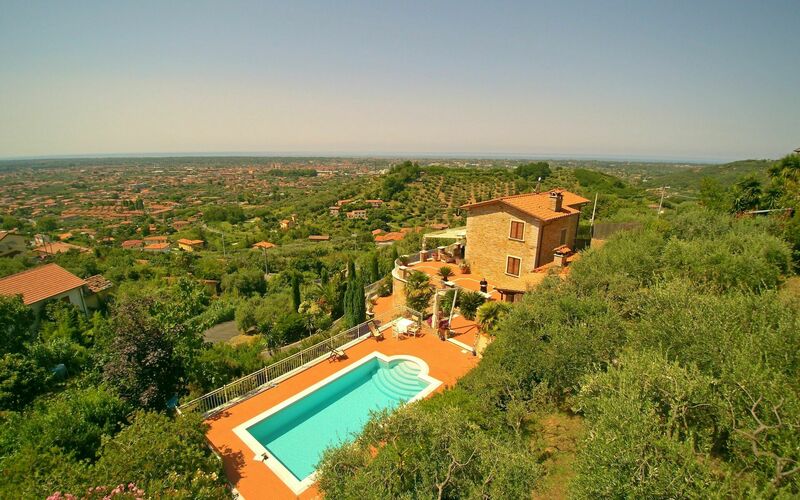 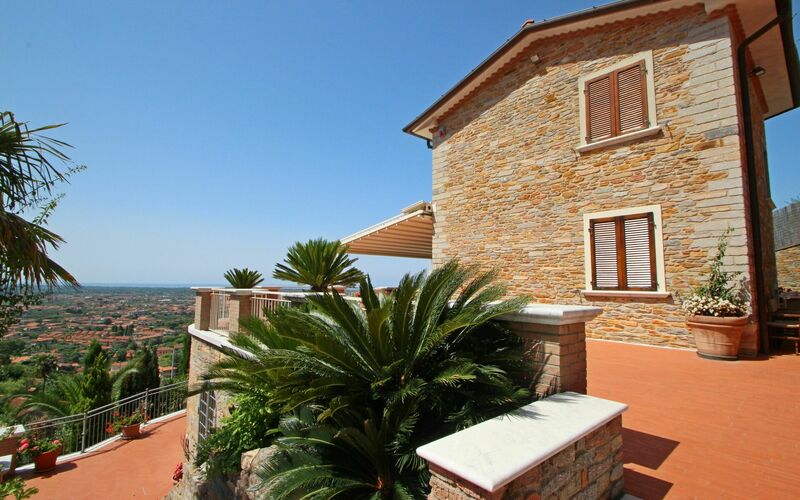 On the hills of Versilia, 5,9km from the sea and behind Forte dei Marmi is this exclusive holiday villa. 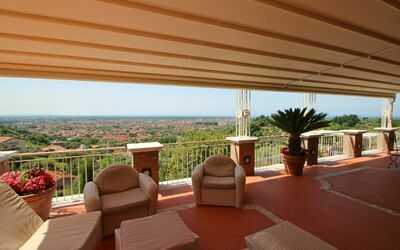 It has about 5000 square meters of land, of which over 1000 are available to customers. It is accessed by a private gate and you can reach the two covered parking spaces in front of the house. The villa, completely fenced and independent, has a large covered terrace with sea views and where you can dine and relax. 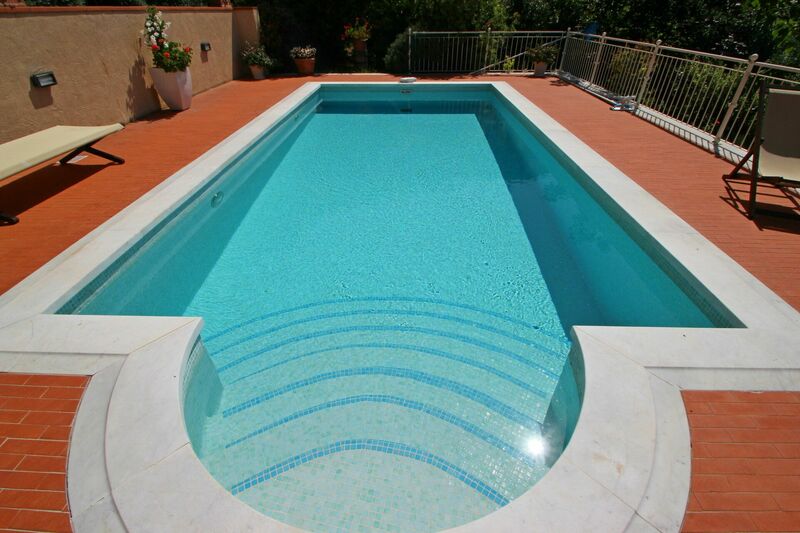 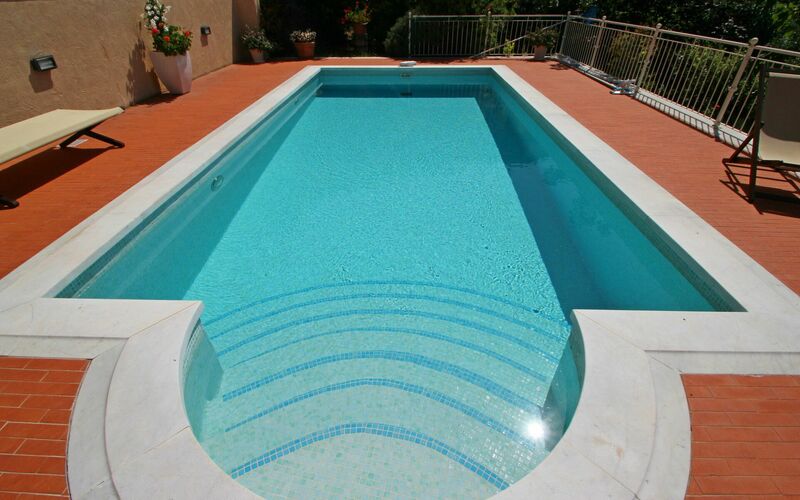 Next to the villa there is a private swimming pool, 8x4meters and 1.45m deep, always with sea view. 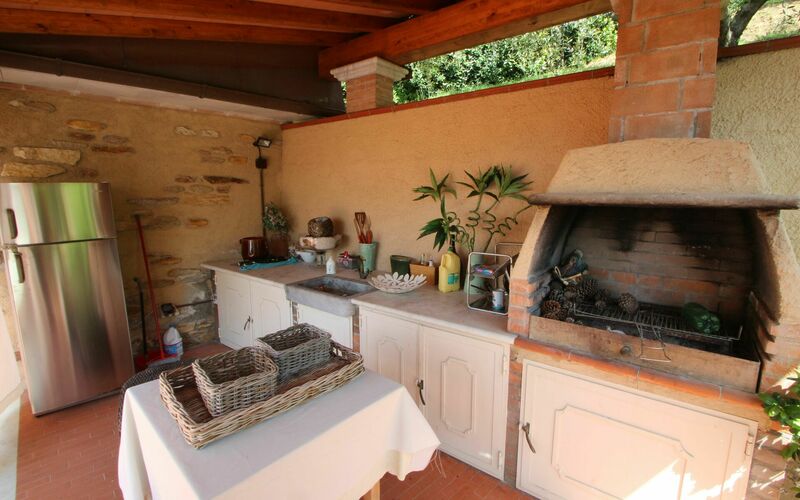 There is also an outdoor shower and an outdoor kitchen with 2 cooking rings, fridge / freezer and barbecue. 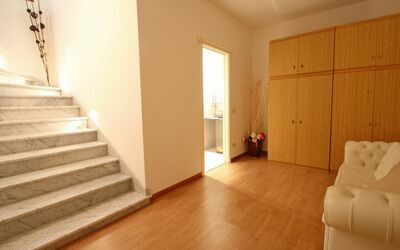 In a small house at the back is the laundry with washing machine and a toilet. 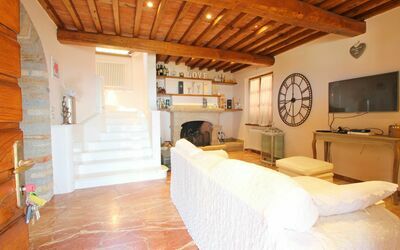 Ground floor: entrance from the terrace, living room with sofa, satellite TV, fireplace. 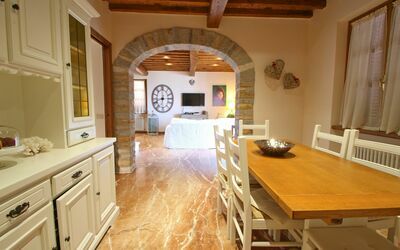 Lunch area. 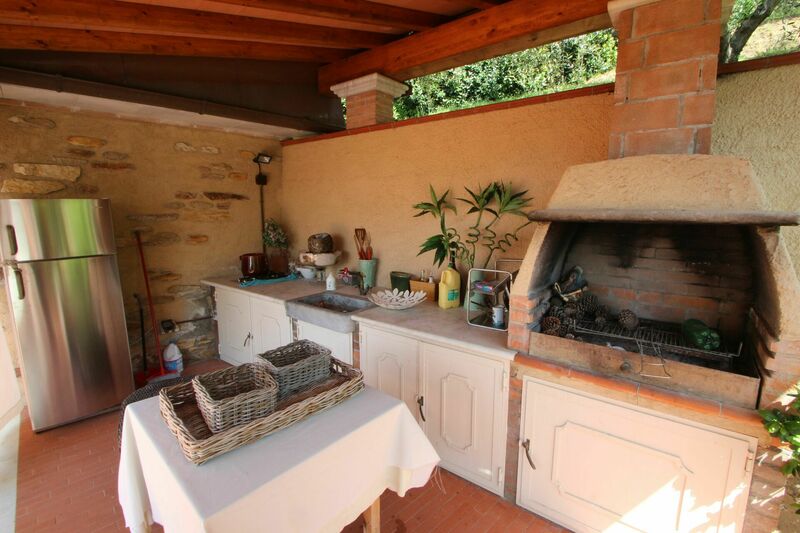 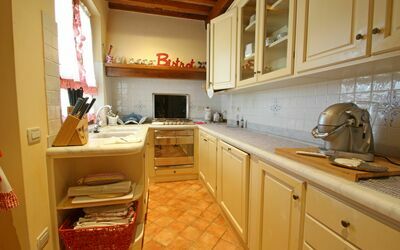 Kitchen with 5-burner stove, fridge / freezer, dishwasher, oven and door to the terrace. Bathroom with shower. 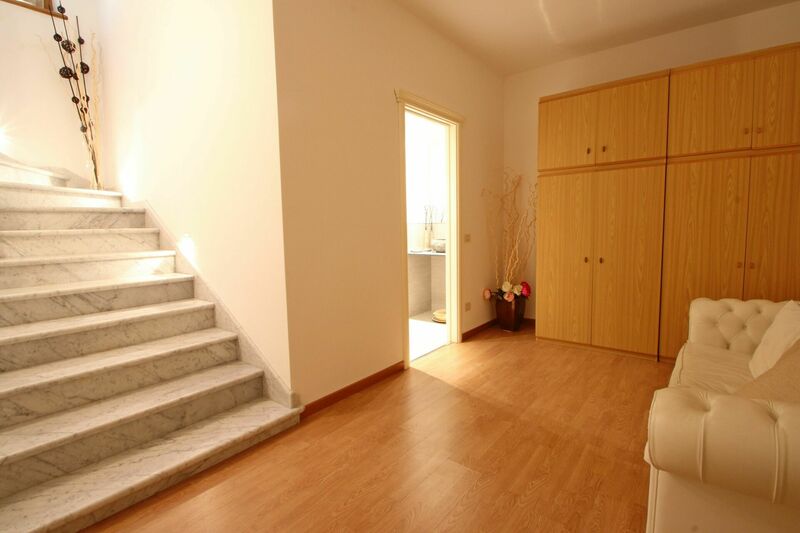 First floor: Two double bedrooms and one single, all with air conditioning. 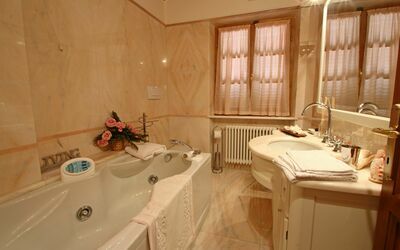 A bathroom with a whirlpool tub. 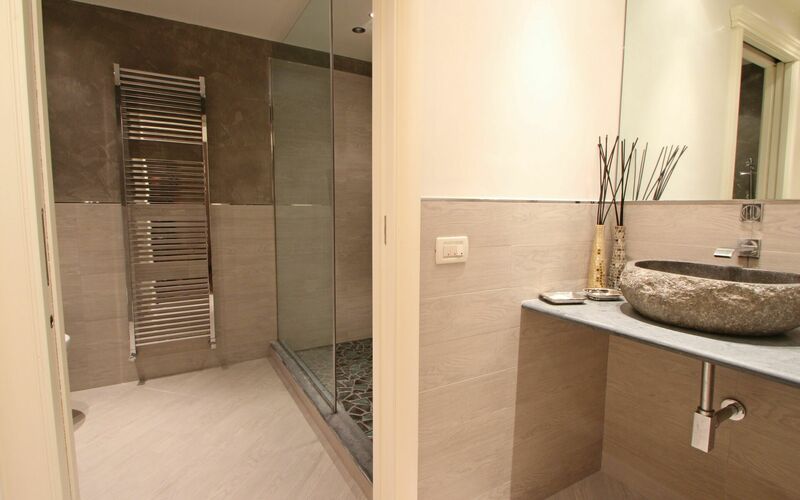 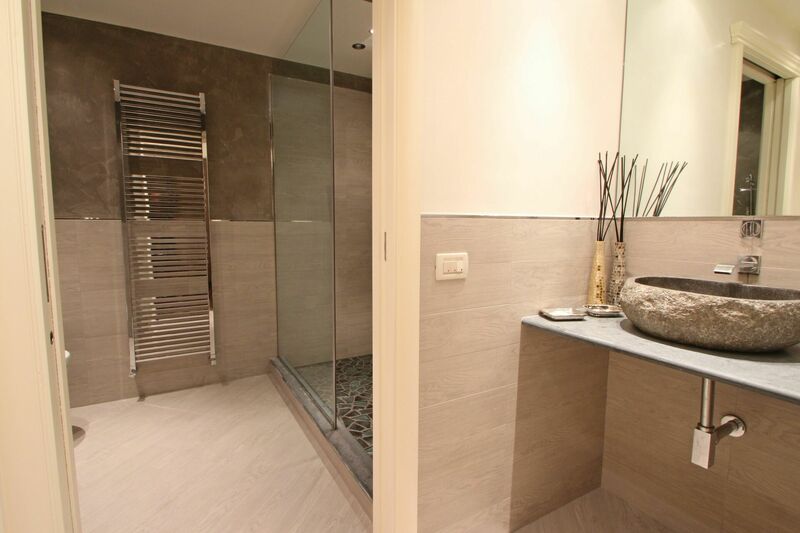 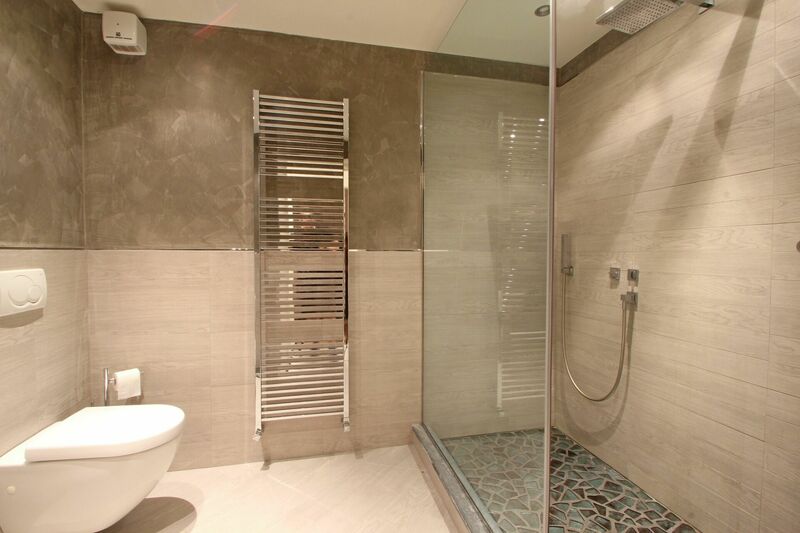 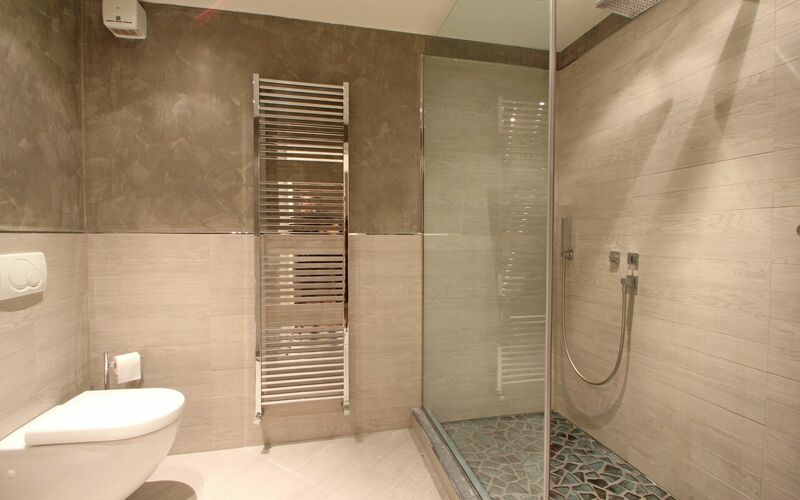 Basement floor: Bathroom with shower. 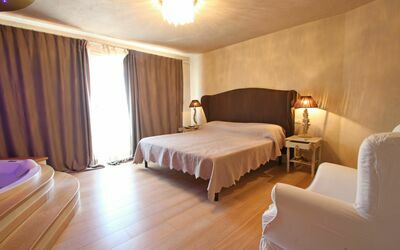 Two rooms with sofas. 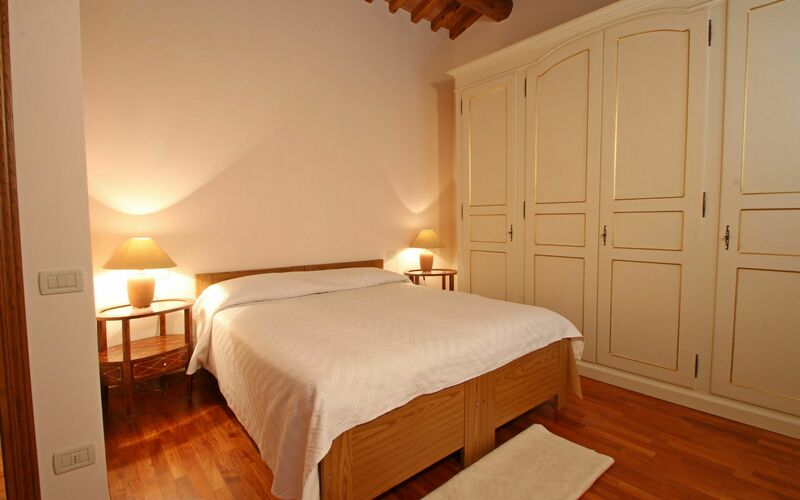 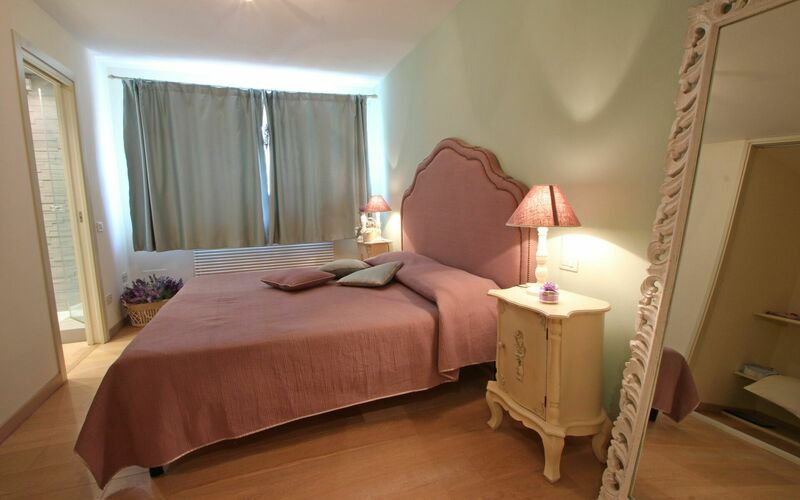 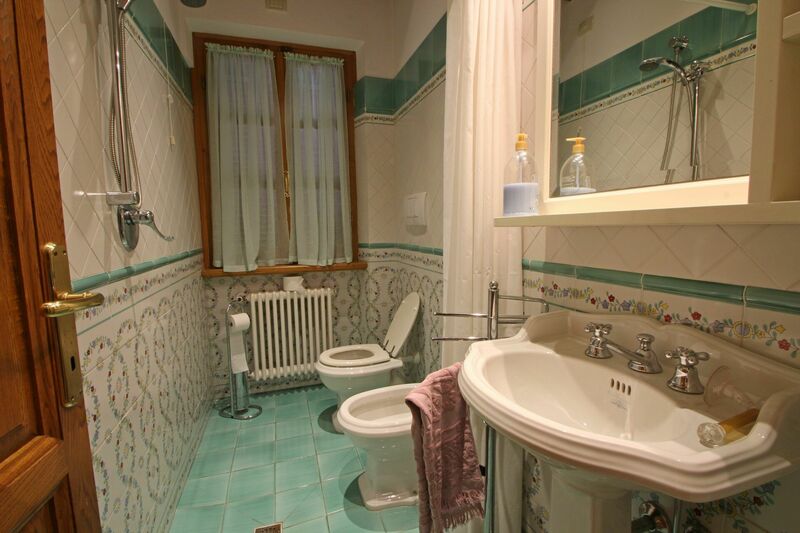 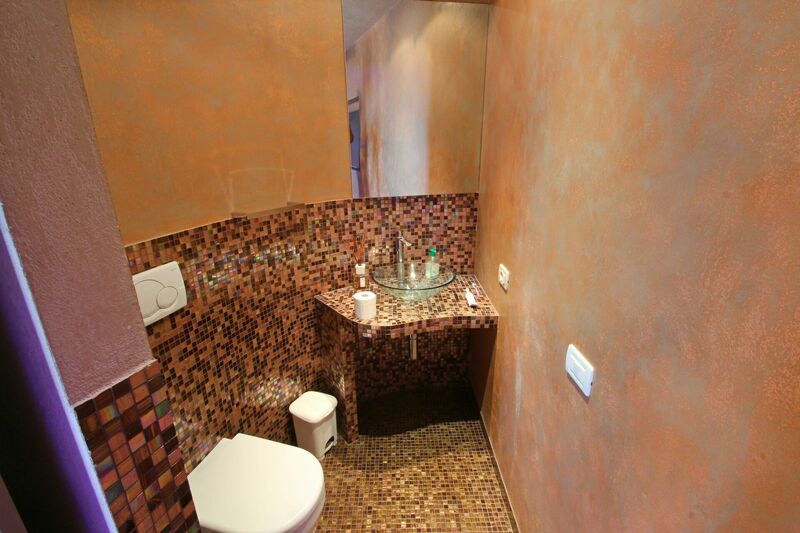 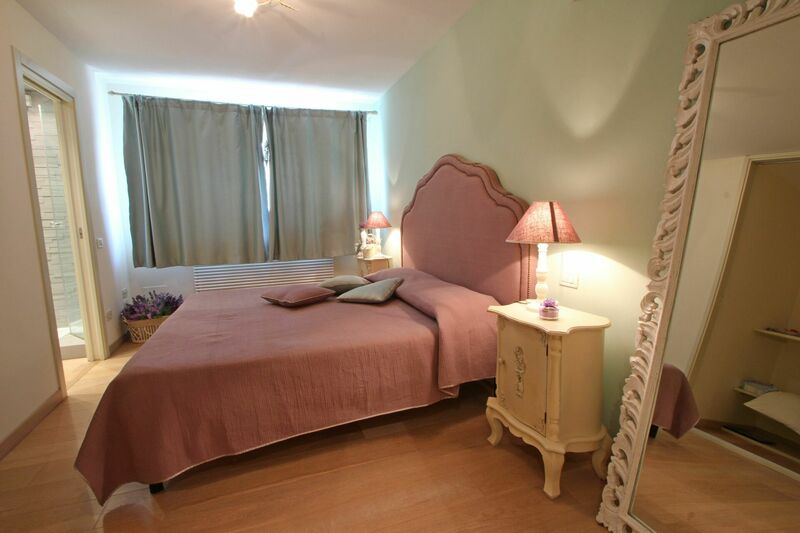 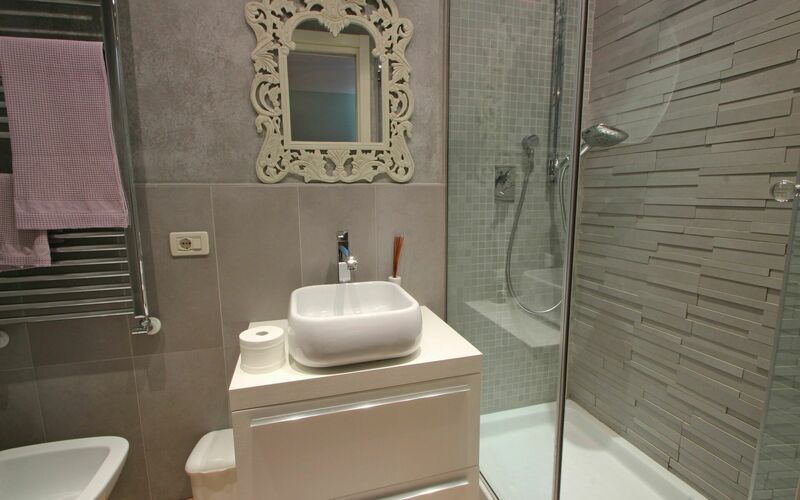 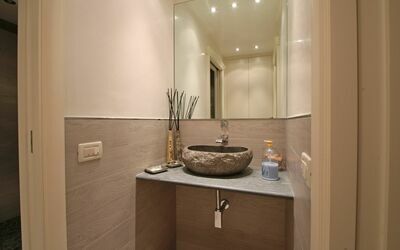 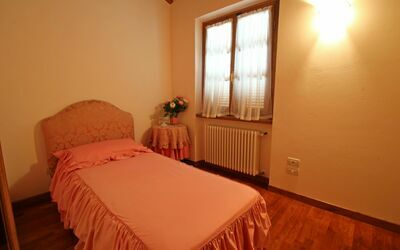 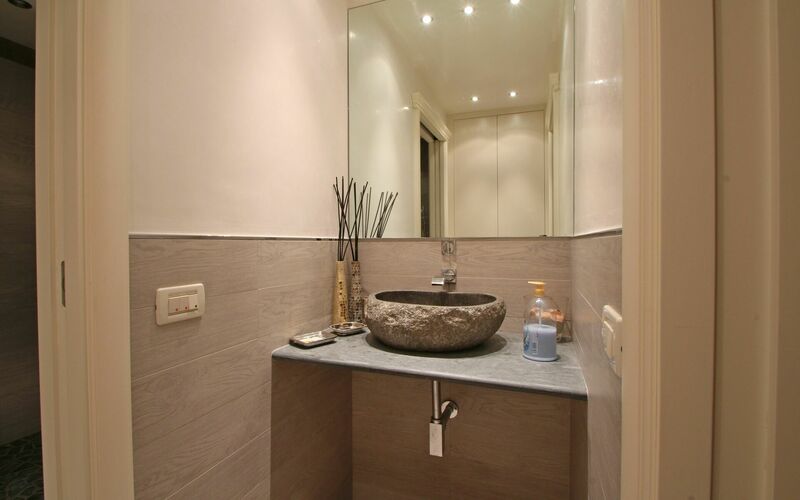 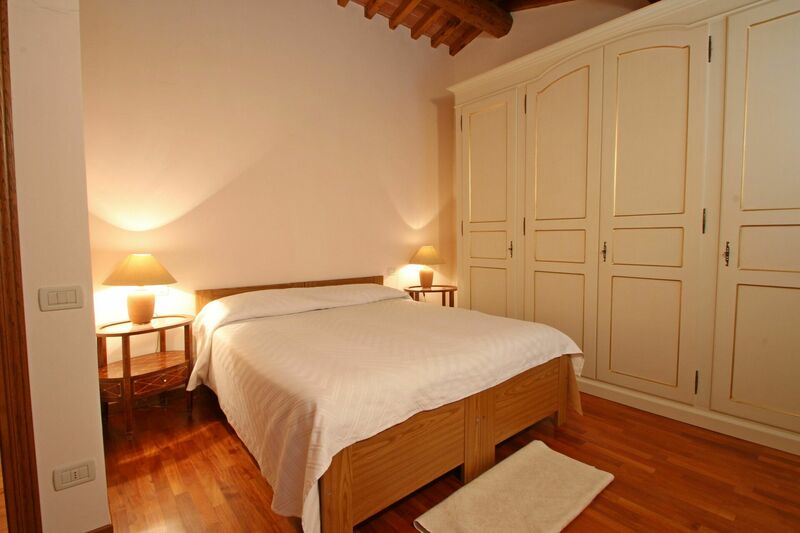 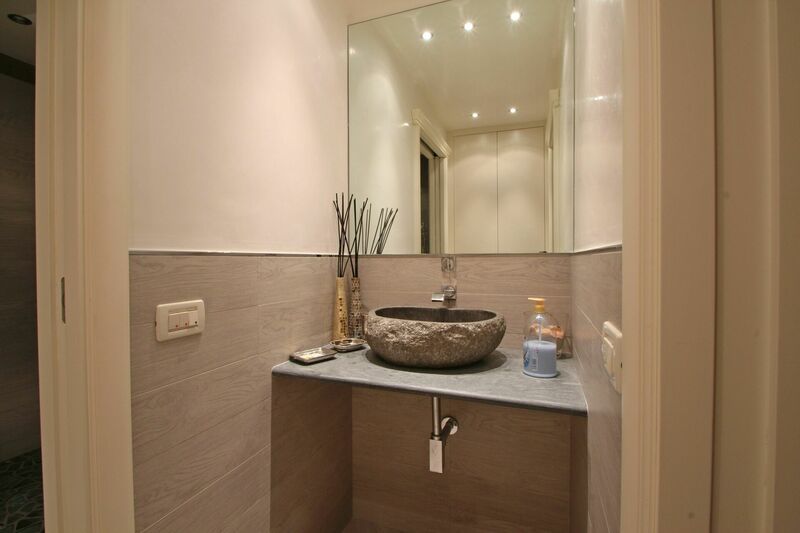 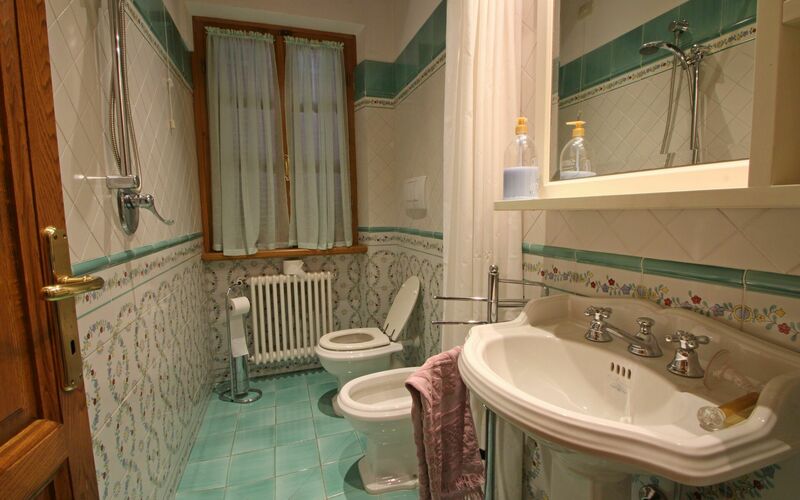 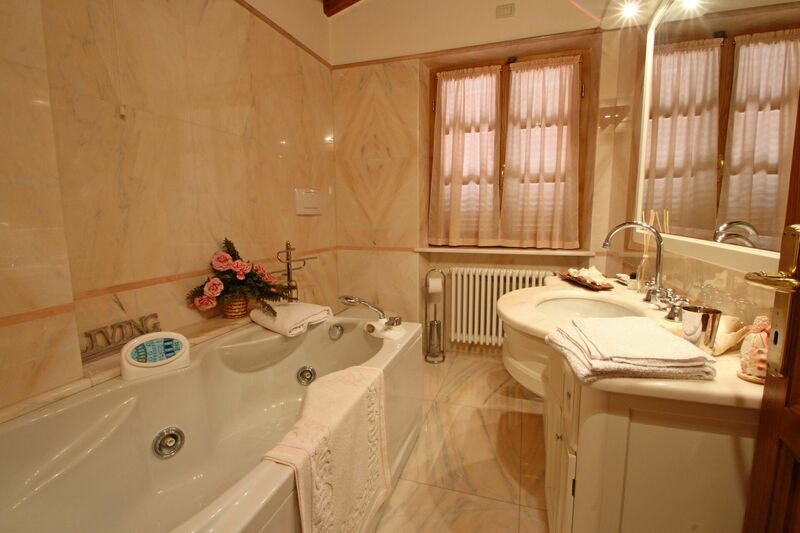 Double bedroom with private bathroom shower. 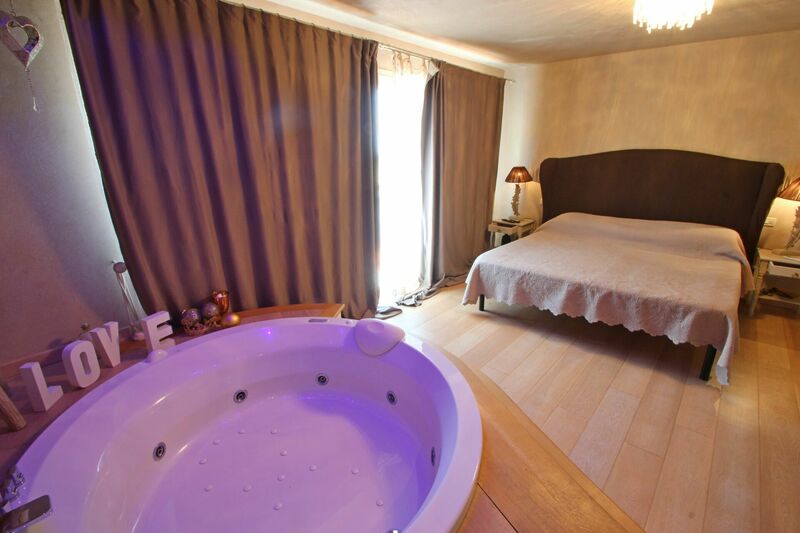 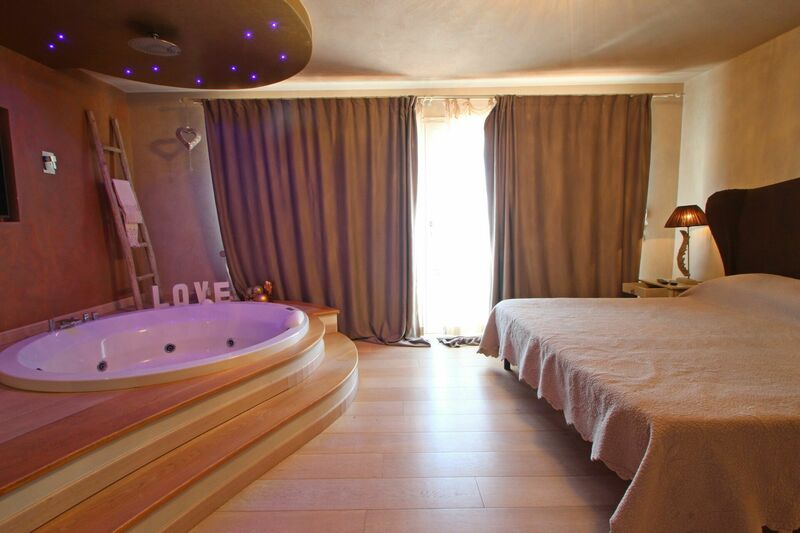 Large double bedroom with hydromassage bath / shower and a bathroom. 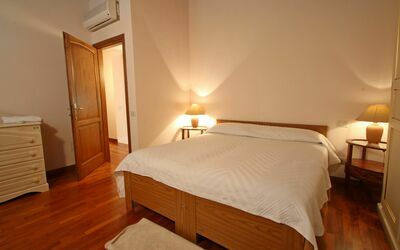 Both bedrooms with air condition. 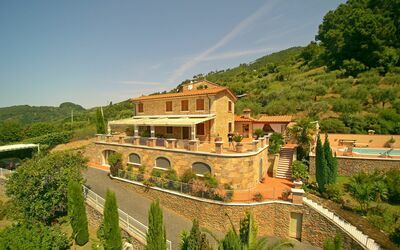 The Villa has WIFI Internet. Animals are not allowed.